In 2013, Joseph Turian and Thomas Kim met in San Francisco to reminisce about their days as undergrads at Harvard University in the ‘90s, and share what they’d been up to since then. Turian had been drawn deep into the world of data science, earning a Ph.D. with a dissertation on how systems could use large-scale machine learning to understand English, and was consulting through a company he founded called MetaOptimize. Kim was a lead developer in enterprise analytics at Salesforce.com. It didn’t take long for the two to recognize an opportunity to combine their expertise and interests. The result was Upshot, a company they founded in September 2013, just one month before competing in the Salesforce1 Hackathon—and winning a $1 million prize. They had built a mobile-based enterprise data analytics application for the event based on natural language processing (NLP) capabilities. The application made it possible for salespeople to ask questions into their smartphones—“How many lost opportunities did we have this quarter?” or, “How many salespeople do we have in Florida?”—and get results out of Salesforce in graphical reports. Now, they’ve brought Upshot’s talent and IP to Workday, following Workday’s acquisition of the small company last February. Upshot co-founders Joseph Turian and Thomas Kim are putting their data science and analytics expertise to work at Workday. Workday, meanwhile, gains talent with expertise in the most recent and innovative areas of data science, says Dan Beck, senior vice president, product marketing and technology strategy at Workday. 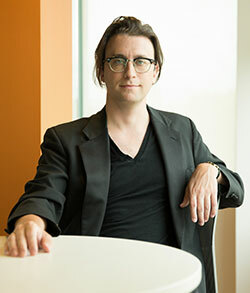 Joseph Turian is a principal software development engineer at Workday. Turian gives the impression of a scholar and a free spirit. He’s prone to thoughtful pauses followed by eloquent responses, as if his brain travels into far-off galaxies most mortal minds will never venture into. He grew up on Long Island, the son of a television engineer and teacher, and as a child, sang for a while with the New York City Opera. Now he sings in a rock band in San Francisco. Kim spends his free time at home catching up on episodes of “The Walking Dead” and “Orphan Black,” in between preparing, with his wife of three years, for their first child. He grew up in Orange County, the son of Korean immigrants who succeeded with a number of small businesses—groceries, dry cleaning, landscaping. That same industriousness and entrepreneurialism has emerged in his own career path. Kim and Turian met on their first day as freshman at Harvard, becoming fast friends through their mutual interest in computers, and later became roommates for a year. Sixteen years after that first meeting, they were accepting one of the two top prizes awarded at Salesforce1 Hackathon 2013. Shortly after the hackathon, about 1,100 people submitted requests for information about the beta program for Upshot’s winning enterprise application. It underscored what Kim and Turian already knew—there is a strong need for technology innovation in the enterprise world, despite the fact that most engineers view consumer technology as the holy grail of innovation. 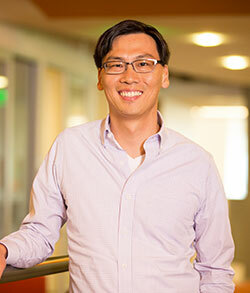 Thomas Kim is a principal software development engineer at Workday. As Kim and Turian went about developing a go-to-market strategy for Upshot in 2014, their fate would take another twist. Through a mutual acquaintance they met Vlad Giverts, senior director of software engineering at Workday, and began to learn how Workday’s vision of bringing the best and latest technology innovations to the enterprise so closely aligned with their own. Giverts introduced them to Workday’s Beck, and David Clarke, senior vice president of technology development at Workday. In February, Workday acquired Upshot, and Kim and Turian joined the company along with Alex Nisnevich, their first employee and another master of data science out of UC Berkeley. Beck says their skills are particularly helpful for Workday’s focus on predictive and prescriptive analytics, meaning the ability to analyze data around an organization’s talent and finances, predict what might happen, and then deliver recommendations to a business leader or manager on what steps to take next. In April 2015, Workday announced Workday Talent Insights, the first of a new family of applications that comes from this focus. For example, Workday Talent Insights features Retention Risk to help businesses answer things like, “Which of my top performers might leave in the next year, and what’s the cost to replace them?” That’s just the first step: Beck said in a blog post that customers will start to see prescriptive capabilities in Workday Insight Applications later this year. 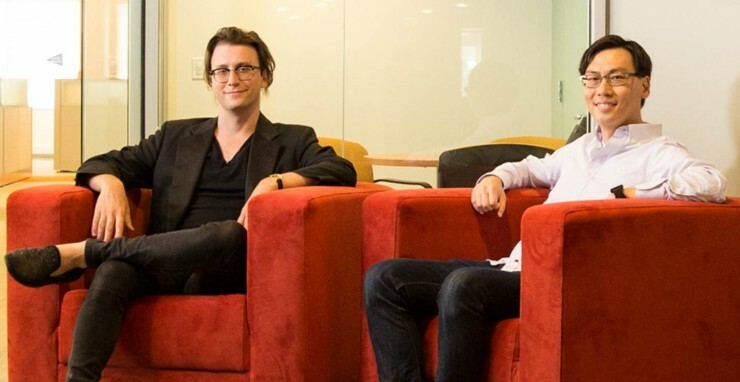 The acquisition of Upshot follows the acquisition of Identified last year, which was also focused on pulling in new data science IP and talent into the Workday platform and products, both existing ones and those in development. Indeed, the acquisition of Upshot and Identified were not intended just for Workday Insight Application products.